Welcome to Kawilal Spa in Santa Teresita. Here you will find an authentic Hot Springs Spa with massages and body treatments. ​It is the perfect place to spend a relaxing day. All our oils, scrubs, and scents are completely natural. 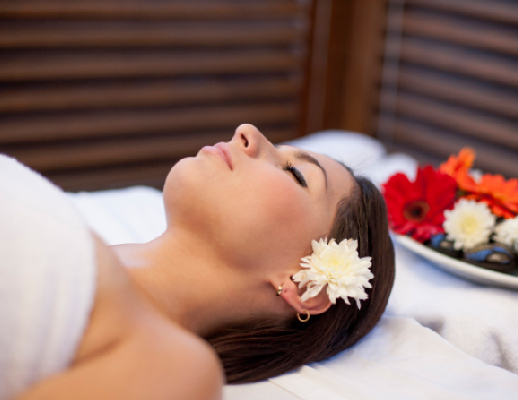 Let our professional massage therapists eliminate the stress you accumulate during the week. It is a relaxing massage but shorter. It focuses on whole body rub. It relieves stress and reduces muscle tension. Therapy that involves rubbing the whole body , especially the back, legs , feet, hands and head. Its main function is to relieve muscle tension caused by stress. It is a therapy where relaxing massage movements are combined with pressure with fingertips in different parts of the body to eliminate stress and improve circulation . It is an alternative Eastern origin massage therapy that combines pieces of wood and relaxing massage movements. The wood creates bioenergy that stimulates and provides deep relaxation, comfort, and tranquility. 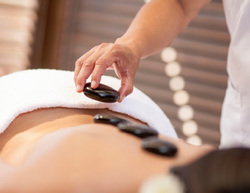 In this therapy hot stones are placed on different parts of the body, while relaxing massage movements are performed with them to relieve muscle tension and pain. This therapy combines relaxing massage movements, stretches muscles and joints. The quiromassage accommodates the vertebrae, achieved by stretching and tractions, freeing pinched nerves, causing immediate relief. 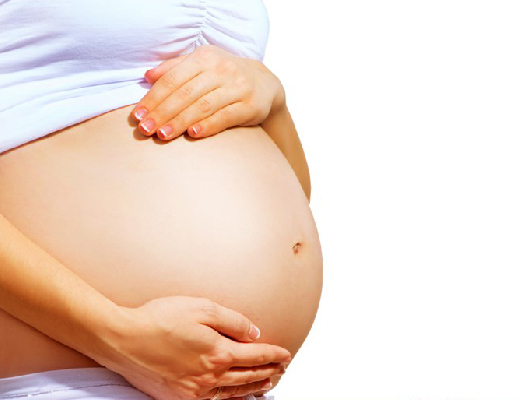 This is the ideal massage for expectant mothers. 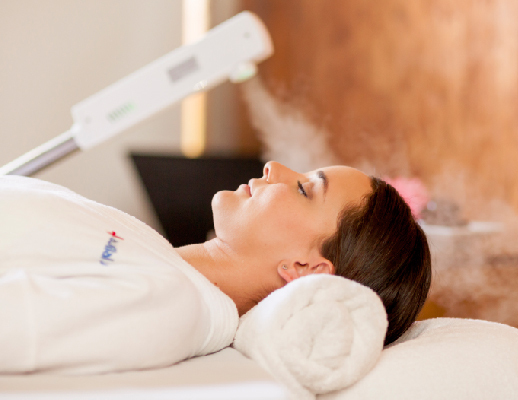 It is a alternative therapy that helps reduce insomnia, depression, headaches, back and leg pain. The Deap Cleansing treatment is ideal for those who want to treat acne problems in a natural way. We use only natural products to moisturize and renew the skin. 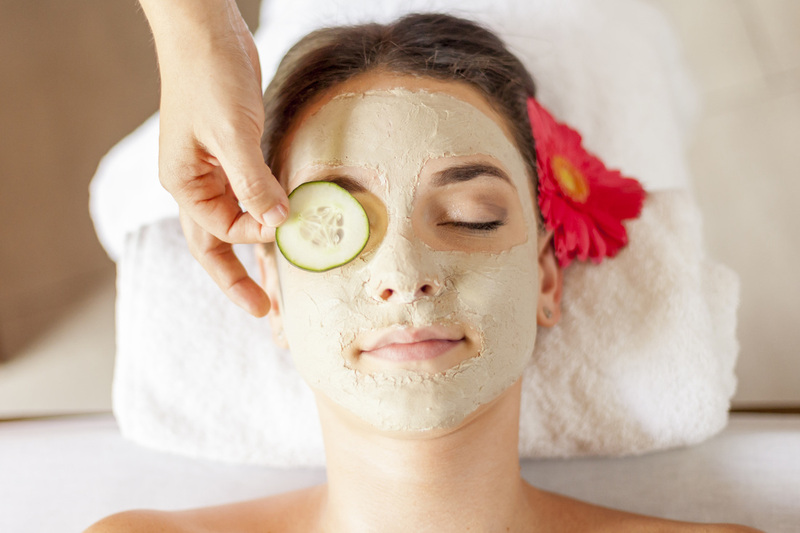 For the facial treatment we use only natural products: oil seeds and essences of flowers, leaves, stems and roots of plants. We apply a firming mask that prevents wrinkles and restores elasticity to the skin, and a moisturizes, soothes, and protects the skin. 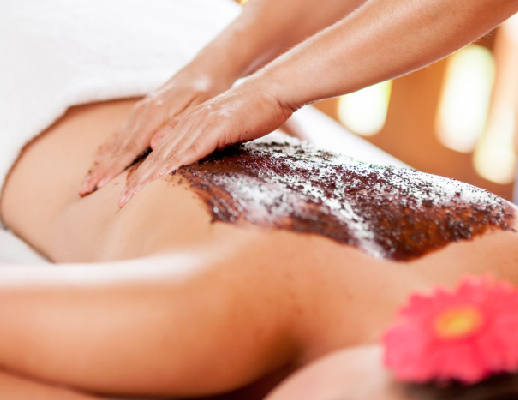 This treatment consists of a body exfoliation with ground organic coffee and applying a mask of cocoa; letting it sit for a few minutes for the body to absorb all its properties. 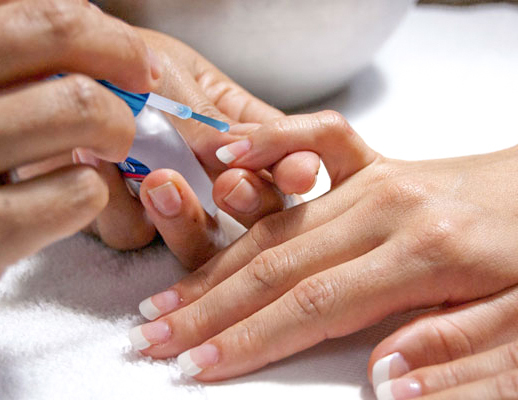 This treatment is a body exfoliation with Dead Sea mineral salts which remove dead cells and nourishes the skin, then a moisturizing body butter made with lavender or papaya is applied. 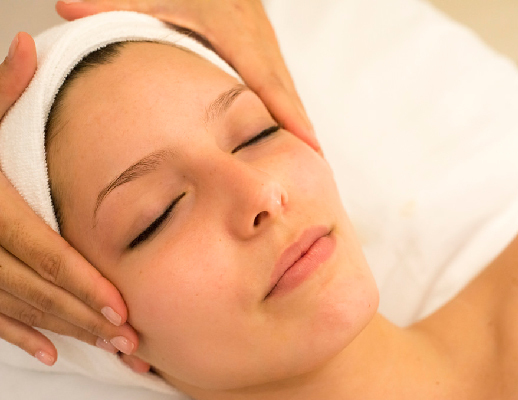 In this treatment, ground organic coffee is applied, which rejuvenates and tones the skin.